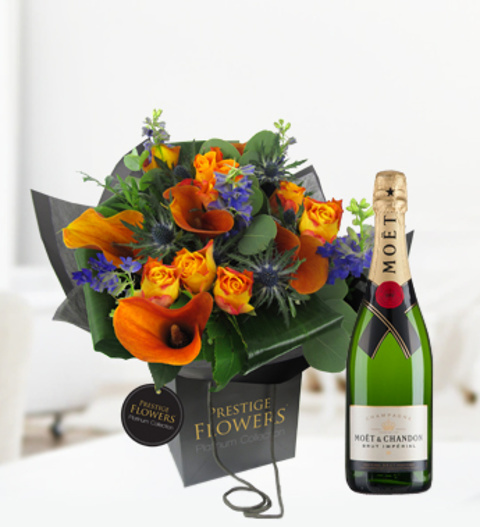 A gorgeous admirable bouquet from our Prestigious Luxury Range. Embraced within this dexterous arrangement are very rare mango orange calla roses with dashes of delphinium, thistles and aspidistra making this one of our most extraordinary bouquets. Our Tikal arrangement comes displayed in a custom Prestige Luxury Collection bag.